Taking care of a rental property can be a full-time job. It takes a lot of time and effort to manage your own rentals and give them the attention they need. Between worrying about collecting rent money each month to making sure the property is taken care of properly, you may wonder if it’s all worth the headaches. As any experienced San Jose property manager can tell you there are many details that can make owning rental property more profitable, however you need to have the knowledge and time to do them. As a rental property owner, you know that there can be complicated issues that arise. If you own rental property in Santa Clara County, you may have a difficult time keeping up with all the local laws and requirements in dealing with tenants and managing the property. For instance – in Santa Clara County, did you know that it is illegal to place ads for housing that indicates a preference for adults only, preferring couples – or no children? It is also illegal to claim that a property is unavailable when it actually is available. When talking to potential renters, you are not able to ask or record questions such as the applicant’s age, marital status, race, sexual orientation or gender. There are many more local regulations that you need to be aware of when renting and managing your property. It’s also not easy to stay current on all these requirements. When you have a competent property management company taking care of your rental properties, you don’t have to worry about these issues. Property Managers will pride themselves in staying current and up-to-date with changing laws pertaining to rental properties in their location. With competent manager working on your behalf you can be confident that the laws and requirements specific to your location will be met. 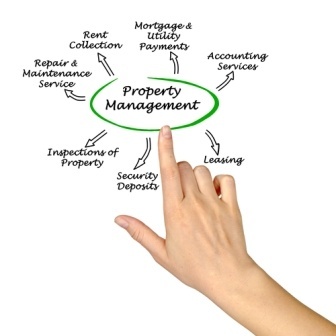 A property management company can help you by attending to all of the details that you don’t have time for. This list is not inclusive, and as a property owner, you may not be spending the amount of time or giving the level of care to your rental properties that will bring you the highest return on your investment. As a rental property owner, you may not realize that all of these tasks are beneficial. By putting these items into place, you will be able to see a higher profit on your investments with much less stress and work. For over 35 years, Valley Management Group has been in the business of working for rental owners to manage their properties. If you need an experienced San Jose property manager that provides trustworthy and affordable services in San Jose or elsewhere in Santa Clara County, contact our office at 408 286-4200. When you have real estate investment in Santa Clara County, you probably don’t have the time for the amount of involvement it takes to manage it properly. You can trust Valley Management Group to help you achieve maximum profits with less work and worry. Call our office today and get a free quote with one free month of property management services when you sign up for our services.